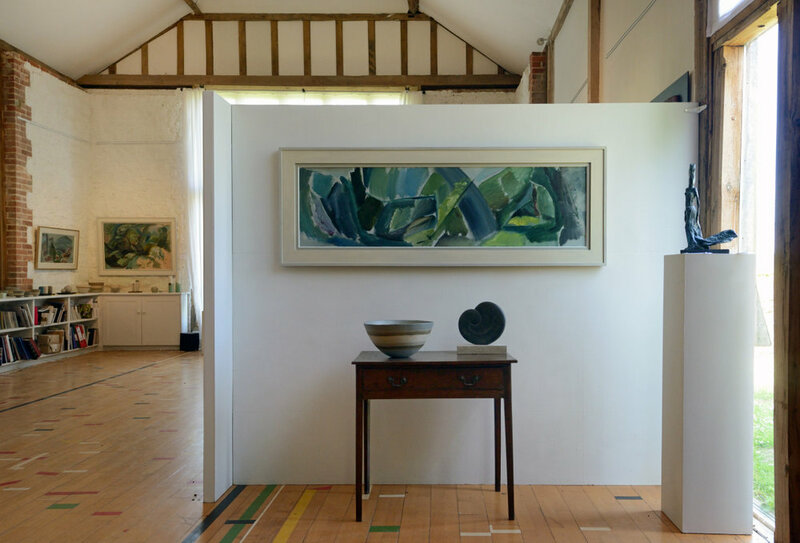 The Moncrieff-Bray Gallery is a spectacular 120 square metre converted barn and landscaped gardens with stunning views over the Rother Valley and South Downs. It opened in 2005 to hold regular exhibitions of contemporary painting and sculpture. Prior to running the gallery Elspeth Moncrieff worked for several years as a curator at the Victoria and Albert Museum before becoming Deputy Editor first of the Antique Collector and then Apollo Magazine. From 1996-2004 she was the Art Market Correspondent for The Art Newspaper building up a wealth of experience about the art market. On moving to Sussex with a young family she decided to renovate the derelict farm yard beside house and open a gallery. Beginning with two recent graduates of the West Dean College MA course Tim Kent and Pippa Blake the gallery has continued to grow and expand showing living, British artists and sculptors drawn from all corners of the British Isles. 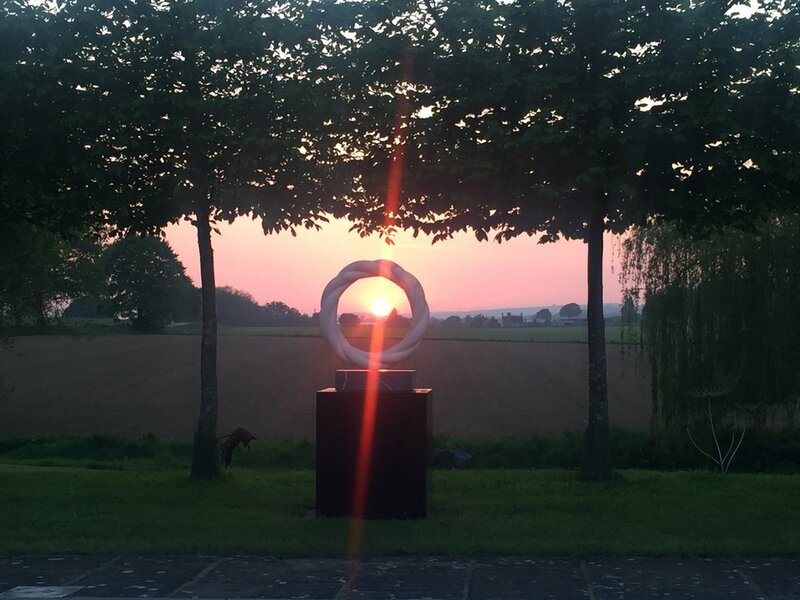 Work is selected with a commitment to quality, integrity and originality from both established and emerging artists and the gallery is delighted that artists and sculptors they nourished and showed at an early stage in their career have gone on to gain an international audience. In keeping with our country location we have a strong interest in landscapes and seascapes as well as interiors and still lives and our artists could be described as hovering between abstraction and figuration with a strong feeling for the environment and their immediate surroundings, whether it be a domestic interior or a wild coastline. We have built up a loyal following of clients who have remained faithful to the gallery returning to our annual summer exhibition which is a high light of the year as guests enjoy our selection of sculpture in a natural setting beyond the confines of a gallery with wonderful views across the Rother valley. The gallery prides itself on its relaxed and welcoming approach, dogs and children are always welcome. It is a destination on its own right, but also less than ten minutes from Petworth with its wealth of art and antique shops. We look forward to welcoming you to this surprising destination - a gallery of West End quality located half a mile down a farm track in the heart of the South Downs National Park. Gallery is open by appointment until Christmas. Please telephone Elspeth if you would like to visit. 07867978414. Please check the website before visiting. The Gallery is located on Woodruffs Lane on the A283 two miles from Petworth and 3.6 miles from Pulborough.